Starting your very own small business is a great challenge indeed. But can you run a business with no debt and only cash? That’s what Mullica Hill-based coffee roaster Matthew Campana set out for himself when he created Legendary Coffee. Matthew Campana of Legendary Coffee. 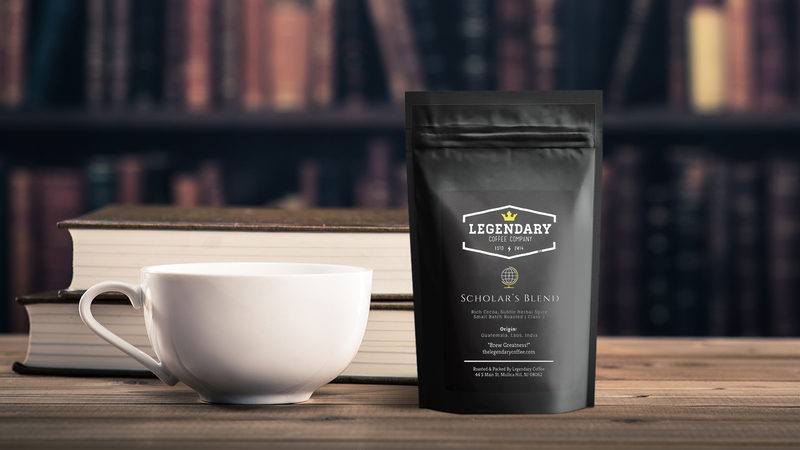 Established in 2013, Legendary Coffee promises to “get your mind going at a pace that you may consistently strive to achieve.” The product is created in partnership with 100% Organic, Fair-trade, Gender Equal suppliers with the aim of being both top shelf and socially responsible. Can it live up to its legendary name? PrintRunner had the privilege to talk with Legendary Coffee owner Matthew Campana. Here are some of his thoughts on everything coffee, music and labels. How did The Legendary Coffee come about? So, I studied music in school but always worked an IT job and found that I was working long nights after working long days. The one thing that I always enjoyed was having a fresh cup of coffee with me. While I was on vacation at the Ocean City, NJ boardwalk one night, I looked out over the water and saw a beautiful picture of the moon reflecting off the water. I smelled coffee at the same time and just had this idea that it would be incredibly fun to make coffee for people to help them in their night time endeavors. I can’t explain why my brain made that connection. Let’s call Providence, but it was just cool. So, I decided to figure out how to make coffee that didn’t have a bitter aftertaste, something you could drink at night while you work, but something that was bold enough to get you going in the morning. So I ordered a tiny roaster (the size of a toaster oven!) and got started. 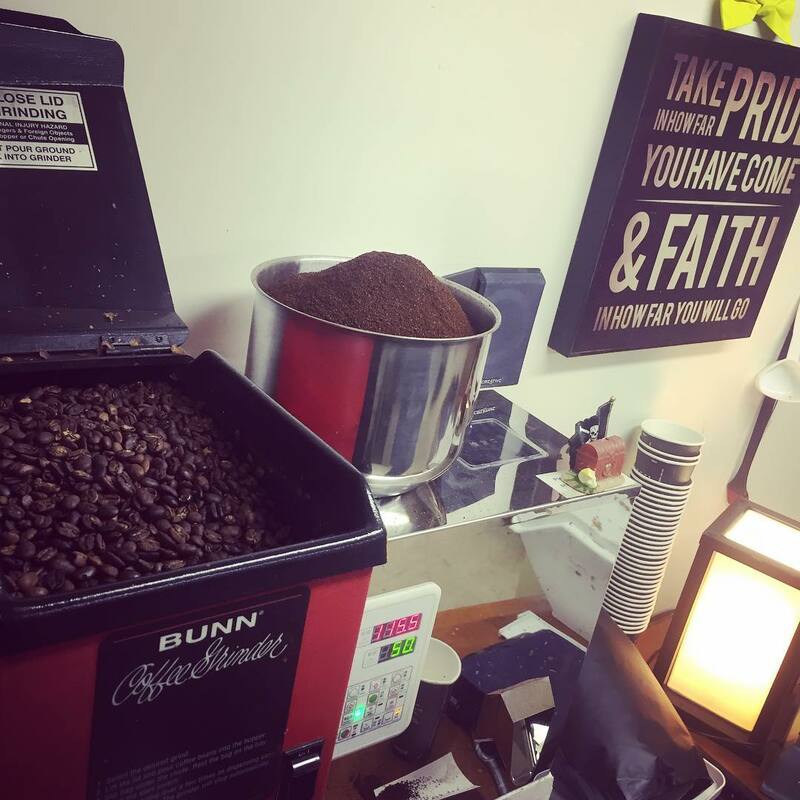 Starting from a tiny roaster, Legendary Coffee continues to grow. With the word “legendary” included in your name, that’s a lot of promise right there. 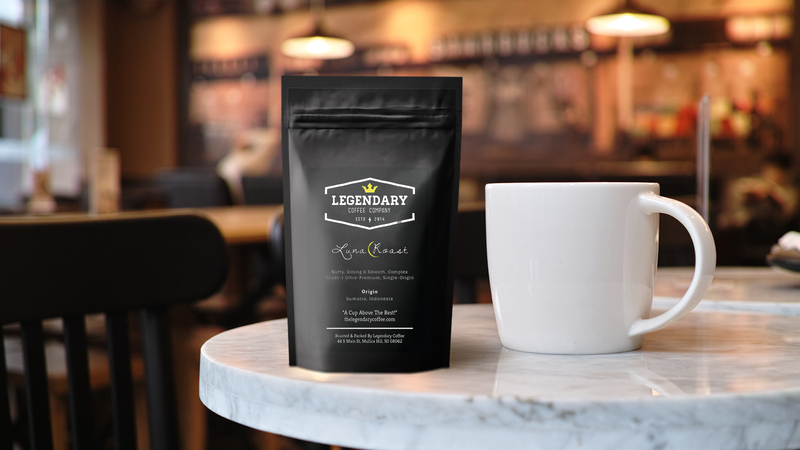 What do you think makes Legendary Coffee truly “legendary”? Our slogan is ‘Brew Greatness.’ I started Legendary Coffee with the primary goal of making some of the best, cleanest coffee I’ve ever had. Because of this, quality is literally the basis of the company. That said, I realize that I don’t know everything. I need to learn. Learning leads to excellence. So, when I set out with that little coffee roaster, I simply decided to learn before I ever sold something. I have spent years and years learning. It took me 6 months roasting before I even wanted to let a single person try the coffee. I’ve devoured 400 page textbooks, listened to podcasts, and still actively engage in online forms about coffee, the trade, the industry, the roasting process. The second goal of Legendary is to make people feel special, because they are! This can sound trite coming from a business owner that’s here to make profit, but it doesn’t change the truth. In society today we see marketers and businesses preying on insecurity by trying to state that their product is a status symbol. We want to reverse that concept. You ARE the status symbol. YOU are special. YOU are the Legend here. Because of that, you should have excellent coffee to help you achieve your dreams. From our packaging, to our email communications, to our Instagram, to the Wax Sealed personalized letters we send with every single order, we want people to know they are valuable and can truly accomplish anything if they believe. Aside from being a coffee roaster, you mentioned on your site that you are also an arranger and composer. How would you describe your relationship to both music and coffee? I drink my coffee black so I can enjoy it as it comes in its raw natural form. It is strong. Likewise, I love music because it has this innate ability to have a powerful effect on the emotions, ambitions, and thought processes of a person. It’s a way to communicate without words. I’ve arranged for some pretty cool projects and had the pleasure of recording in Prague with the city of Prague philharmonic. Hearing this in person was breathtaking. On that trip, I went to Istanbul on a layover. While I was there I sought out a handful of coffee shops and met the owners and spoke with them. I realized that their stories were just as breathtaking. One man had to pretend he was a construction worker for two years on his store because he was in a rough part of town and kept getting beat up. Coffee, like music, is a very potent thing. They can both be revolutionary. They can inspire people to take ideas and make them a reality. Nothing is more incredible than shutting your cell phone off and sitting and talking to another human. No interruptions. Just try it and you’ll see that both music and coffee have a way of allowing us to connect with others and even ourselves on a deeper level. Fair Trade is a big issue in the coffee industry. What are the steps that your business is taking to ensure that your product is socially responsible? 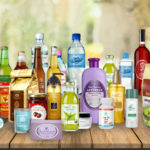 In keeping with the second goal of Legendary, we have a duty at our core to ensure that what we are selling is coming from places that are benefited by our business. For every bean we source, I speak with our distributor and receive information about the Fair Trade or similar certifications that the farms, coops, or estates hold. Our distributor has some incredible direct-farm relationships. As a result, the prices of the beans to us are higher. I say GOOD! Having been a musician my whole life, I know what it’s like to be under-paid for gigs. I have been fortunate enough to have the option of being underpaid. Most do not. We require financials, prospectuses on future growth in the local communities, and information about how the land is being maintained for the farms that we source from. One day we will be able to run this business full time and will travel to each of the farms to personally inspect this. It’s a crucial part of our business and I’m proud of that fact. What are the challenges that Legendary Coffee is facing today? Exposure. A lot of small businesses think they need more capital. I created Legendary as a test. Can you run a business on cash and only cash? No debt! The answer is YES. The solution is to continue to provide value to people. Shout out to Ron Connolly, for helping us get our first industrial roaster some years ago and for offering his guidance. Creative partnerships are important! Our next steps are to go to local farmers markets, Amazon Fresh, and a few craft sites.We can only roast 1.3 lbs every 15 minutes. WOA! That’s a really slow process. 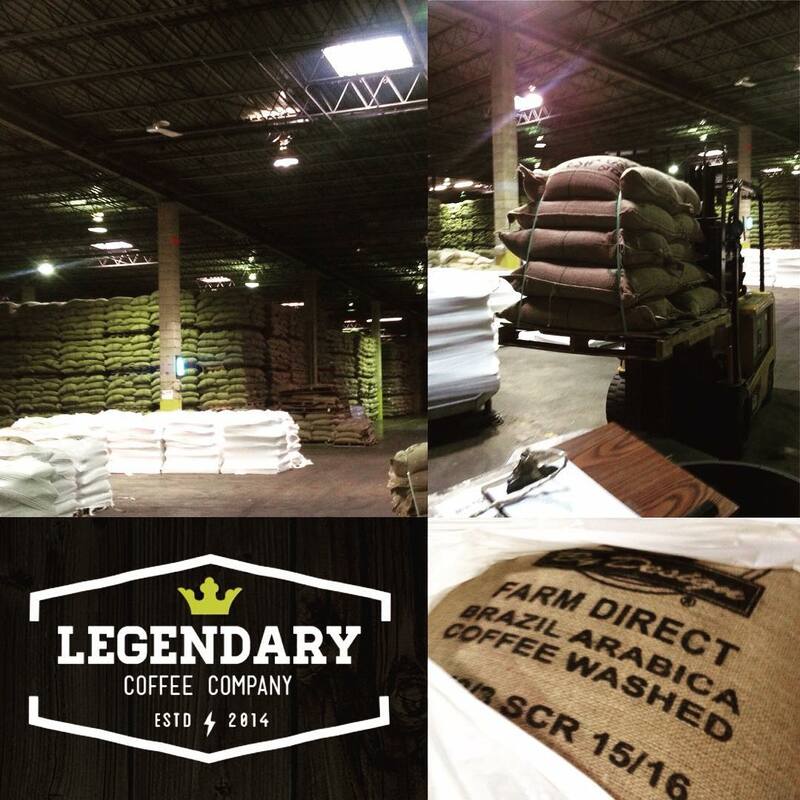 Every single bag of Legendary Coffee is roasted to order. There isn’t a single bag of coffee in our roasting space. Marketing is a huge part of every small business. How would you describe Legendary Coffee’s current marketing efforts? We don’t market outside of those that follow us on our Instagram, Twitter, or Facebook accounts. We also run a small subscriber newsletter every month or so. Our marketing is plain and simple: we want individuals that are avid fans of the coffee to share it with someone they think will like it. I’ve roasted thousands of bags of coffee, so that approach, while it may not work for every business model, seems to work very well for us. Legendary Coffee’s Luna Roast with PrintRunner labels. One of the reasons why we chose to spotlight you and your business is your wonderful review. You said “Whoever did my order has my business for my entire product cycle now. Exceptional job and turnaround guys.” How would you describe your label printing experience with PrintRunner? I have printed with literally dozens of printers across many careers in music, IT, food and beverage, personality branding, games, and television promotion. I’ve worked for mom-and-pop shops and Fortune 100 companies. 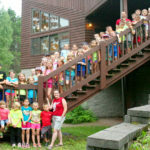 I’ve never had a place like PrintRunner handle my vision with such care. As you can see, customer service IS Legendary Coffee so when I engaged with PrintRunner I could actually tell JUST from our initial chat online that you guys were a good fit. You knew the technical [side], the requirements, the process, and were quick to answer all my needs. The turnaround time and print quality combined with the pricing blew me out of the water. Your consistency allows our products to shine and feel cohesive. I went in thinking we could afford only a few labels but then saw how reasonable prices allow us to buy enough to send out promotional materials and not just our orders. This has led to additional sales. What is the best thing that you like about your labels? I love how concisely they are packaged and how easy they are to apply. The paper quality is excellent for applying to our bags. No weird creases or easy tearing. Something that we specifically love is that the black in your printing is actually black! 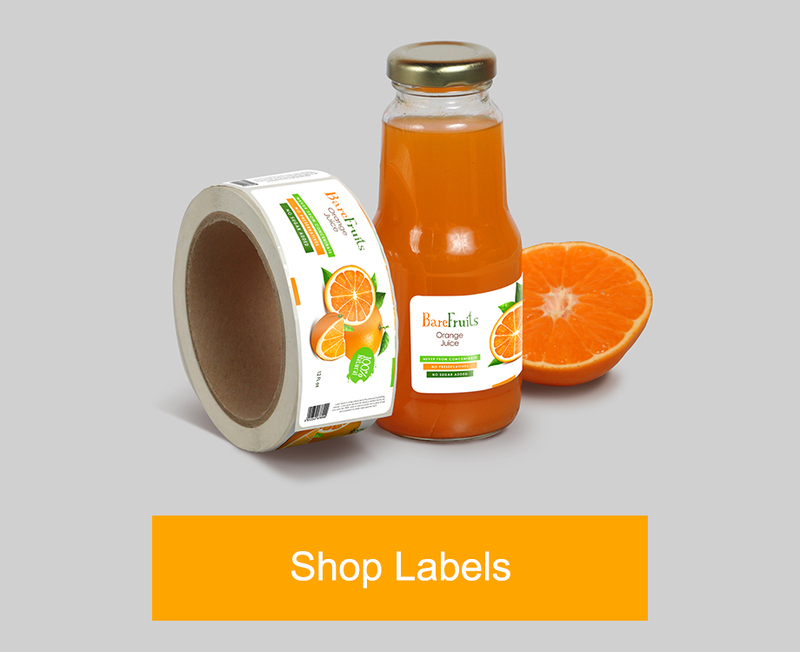 Would you recommend our labels to other small businesses? 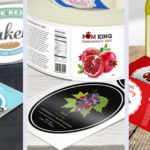 I would not hesitate to recommend your labels to small, medium, and large businesses. That said, representing your small business brand with excellence is the only way to have people take it seriously. People feel quality. If you’re looking for it, you’ve found it. I don’t ever take time to even do reviews because I’m busy running three businesses, actively engaging in my family and church life, as well as my local community. It’s settled, PrintRunner has my business because I don’t have time for anything else! What are your future plans for Legendary Coffee? I plan to continue to provide people with wonderful coffee. I have a goal of being able to do this full time within one year’s time. I want to pair with local businesses to bring value to their customers. I want to have a beer brewed and distributed with our coffee in it. I plan to open pop-up locations and attend wine festivals. I plan to work with nonprofits and local government initiatives to private label coffee for them. We even want to get into schools to be able to be sold as a fundraising product. We have built distributor margins into our products so that everyone wins when Legendary is sold. 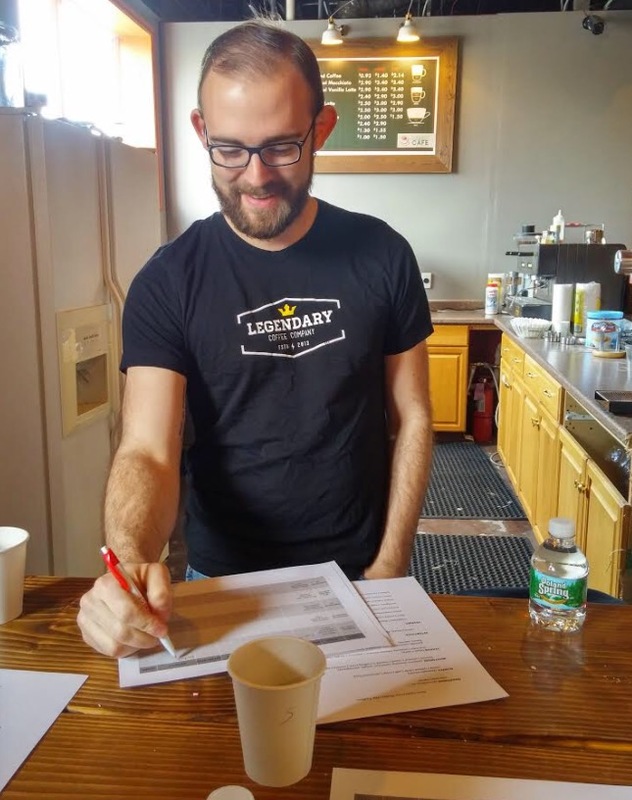 If you’d like to partner with Legendary Coffee, you can reach out to Matt directly at matt@thelegendarycoffee.com. 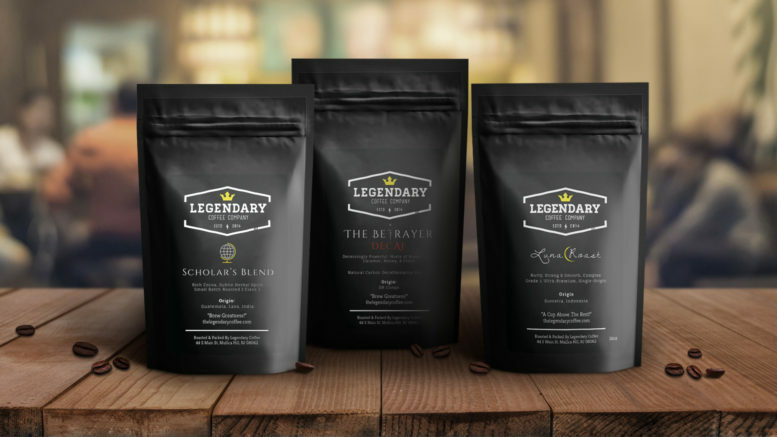 Learn more about Legendary Coffee by visiting their site. You can also follow Matt and Legendary Coffee on Facebook, Twitter, and Instagram. If you want to get those top quality labels with the colors that Matt really loved, check out our label printing page to get yours.